Just in case Rumpole and the Penge Bungalow Murders gave fans the impression that the Great Defender was resting on his laurels, his new case sends him at full sail into our panicky new world. Rumpole is asked to defend a Pakistani doctor who has been imprisoned without charge or trial on suspicion of aiding Al Qaeda. Meanwhile, on the home front, She Who Must Be Obeyed is threatening to share her intimate view of her husband in a tell-all memoir. 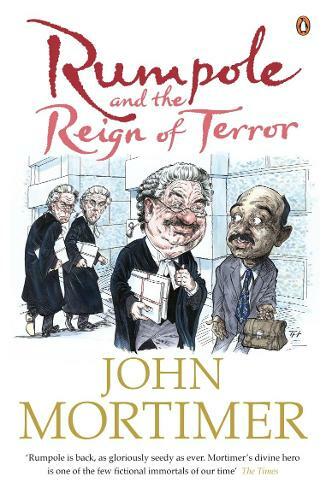 The result is Rumpole at his most ironic and indomitable, and John Mortimer at his most entertaining. This hilarious novel will be loved by fans of Rumpole and readers of Sherlock Holmes, P.D. James and P.G. Wodehouse. Sir John Mortimer was a barrister, playwright and novelist. His fictional political trilogy of Paradise Postponed, Titmuss Regained and The Sound of Trumpets has recently been republished in Penguin Classics, together with Clinging to the Wreckage and his play A Voyage round My Father. His most famous creation was the barrister Horace Rumpole, who featured in four novels and around eighty short stories. His books in Penguin include: The Anti-social Behaviour of Horace Rumpole; The Collected Stories of Rumpole; The First Rumpole Omnibus; Rumpole and the Angel of Death; Rumpole and the Penge Bungalow Murders; Rumpole and the Primrose Path; Rumpole and the Reign of Terror; Rumpole and the Younger Generation; Rumpole at Christmas; Rumpole Rests His Case; The Second Rumpole Omnibus; Forever Rumpole; In Other Words; Quite Honestly and Summer's Lease.